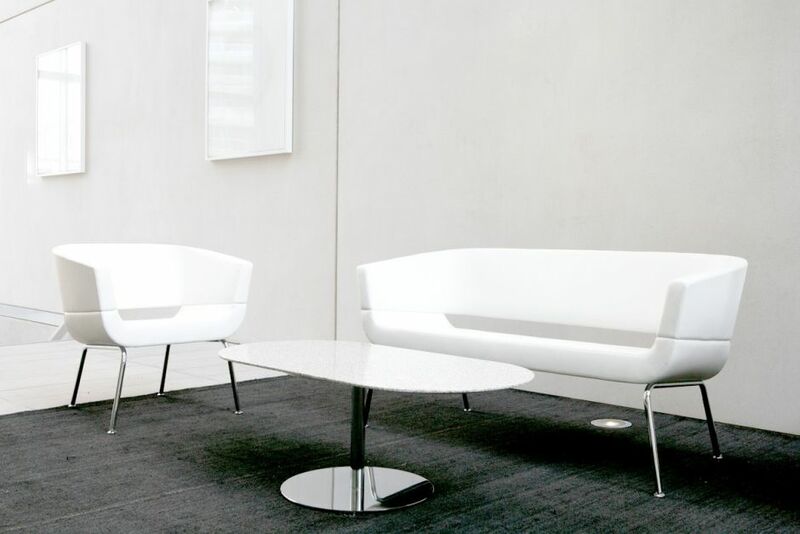 Choose from a wide range of seating options and fabric finishes to match your business look. 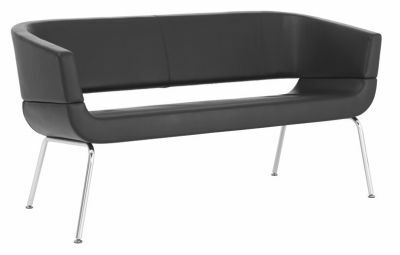 The sofa has an almost futuristic design with back and wide seat section. Designer two seat sofa with designer chrome legs, perfect for use as a small social area in an upmarket establishment.